José María Yturralde was born in Cuenca in 1942. Yturralde lives and works in Valencia and is considered one of the leading exponents of Spanish contemporary art. With a BA and PhD in Fine Art from the Polytechnic University of Valencia, he is a fellow of the Royal Academy of Fine Arts of San Carlos of Valencia, professor of Painting at the Polytechnic University of Valencia’s Faculty of Fine Arts, and member of the Social Council of the Polytechnic University of Valencia. His works are characterised by the use of chromatic transitions and a wide range of vibrant colours, masterfully applied to heighten the contrast between them. In his paintings he focuses on themes such as space, the void, time, energy, light, the universe and matters beyond the bounds of experimental science. His work can be defined as analytical, rational, scientific and semi-transcendental. 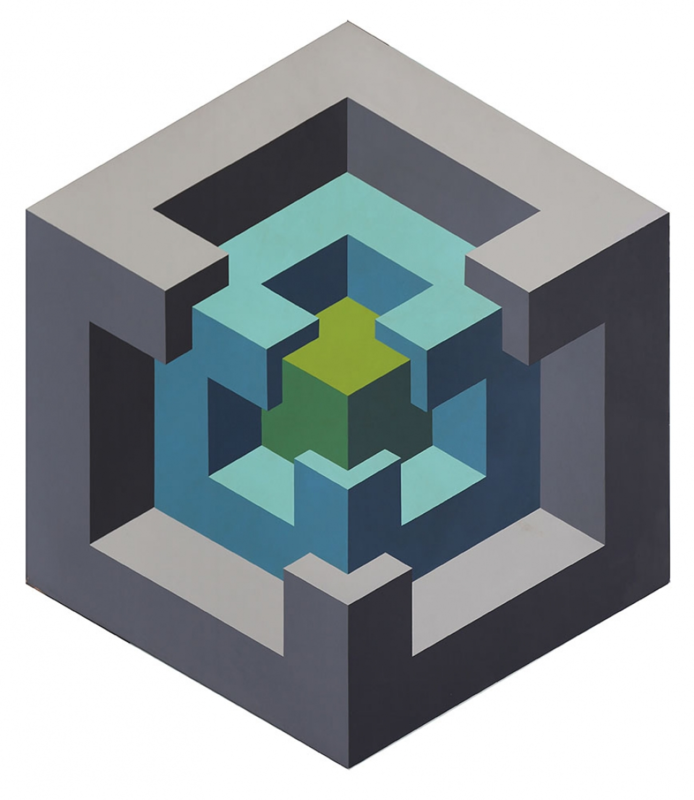 Yturralde admits to a fascination with the field where the languages of science and art intersect, which explains his interest in kinetic and Op art. Contemporary architecture, film, poetry, music, art and eastern philosophy also influence his work and are often questioned in his paintings. Yturralde’s creations are a pictorial meditation on the concepts of the void, the beginning and end, and the universe, all frequent themes in his oeuvre. The artist’s choice of textures and chromatic transitions is motivated by a need to express his personal feelings, preoccupations and questions. Much more than mere objects, Yturralde’s paintings capture his emotions and spread beyond the physical boundaries of the picture plane, attempting to create a thought-provoking atmosphere that encourages spectators to wonder what lies beyond the tangible, visible realm and perhaps even be transported to a level of transcendental existence.